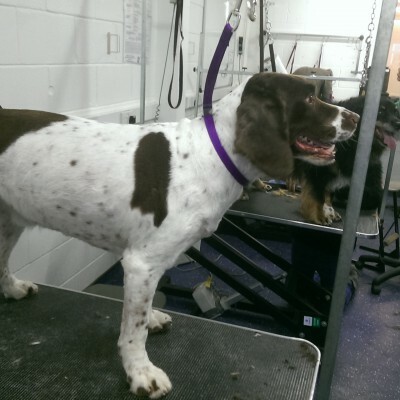 Alfie, a lovely Springer Spaniel, came to grooming college with us last week. He was clipped all over including face and pads. This type of cut is great to ensure a low maintenance pet. It should mean less hair is lost on the furniture and a lot less dirt is brought into the house when they have been out on their walks (especially at this time of year).